We are getting ready to end the year the best way. A lot of organization goes into it. First of all, Emilian and I spend some quality time together at the Reiters Reserve Finest Family this weekend before I am off tomorrow to a special place to celebrate my birthday this year. I am extremely excited about this Christmassy trip I have to admit…New York, here I come!! The excitement is real! And oh’ there is, even more, to happen after I am back to Europe for a couple of days… Can you guess what we are up to? In the meantime, the last two weeks were full of reunions, parties and events. One of them was my friend’s birthday. 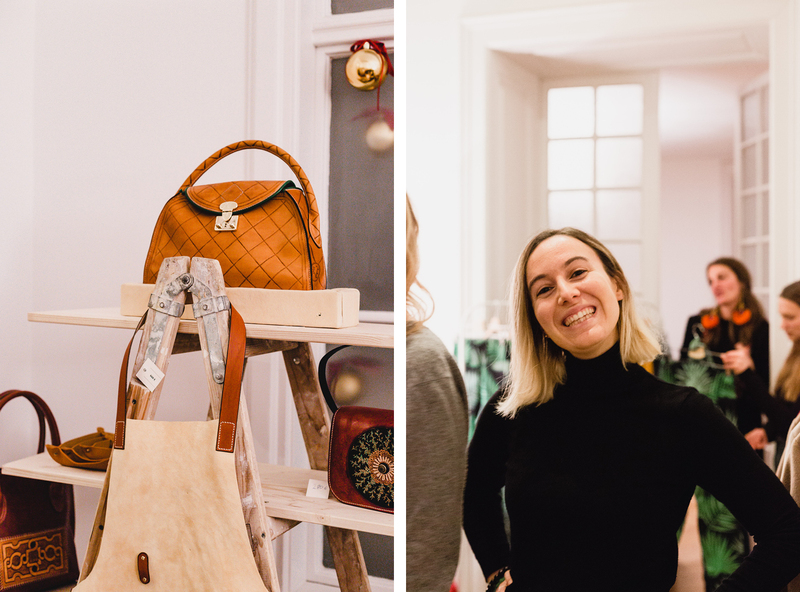 Sophie celebrated her 32nd birthday at Galerie Lisa Kandlhofer. It was a seated dinner spiced up by some lovely speeches, lots of dancing, laughers and friends from all over the world. Thank you, Sophie, for such an amazing night! Btw, it was also the night when Vienna was covered by snow. When I left the party, it was already late and it was snowing over Vienna… the streets were silent, the Christmas lights were on and the whole picture was just heart-stopping I wish I would have taken a picture to show you how breathtaking it was, but instead I just enjoyed this moment with my own eyes. Another family event Emilian and I attended this past week was my sister’s “Punsch, Kind & Kegel”. It was a lovely winter rendezvous of family and friends with the only excuse of having a good time and welcoming the month of December. The garden was packed and the children were running around while the “older kids” enjoyed a glass or two of Punsch. Thank you, Anna! 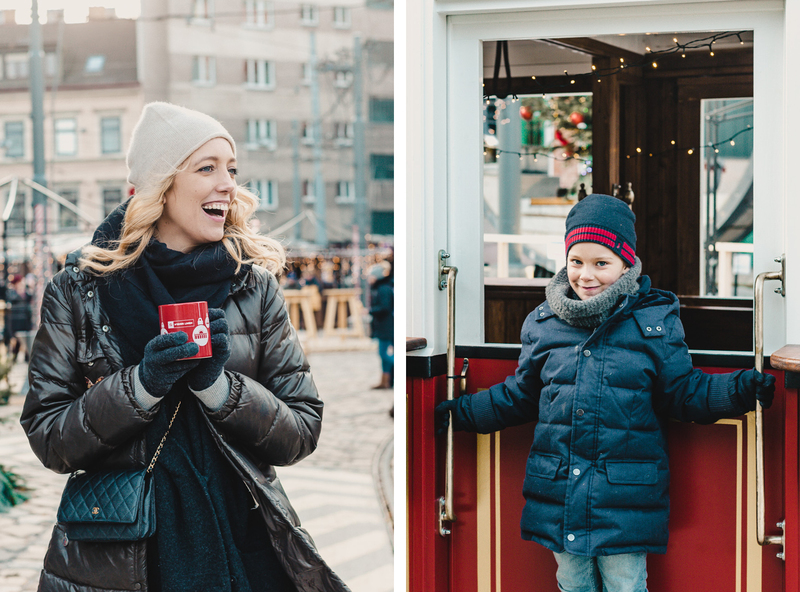 If you followed our stories, you probably know that I have the theory that a Christmas market a day, keeps the winter blues away and we are determined to follow our unwritten rule! Emilian and I already visited many, many, MANY Advent markets. But this year it’s been the first time we went to the Adventmarkt in der Remise. They have a DIY station, spots where to play curling (which Emilian loved! ), of course, Punsch and many other sweet bites that kept us going through the cold afternoon. 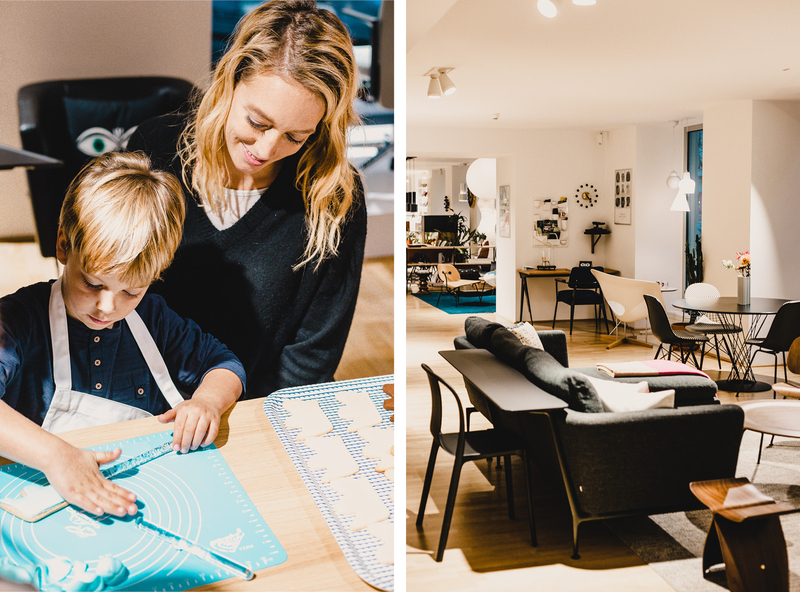 Your toddler is going to love it as it is all about tramways with a special program for your little one. 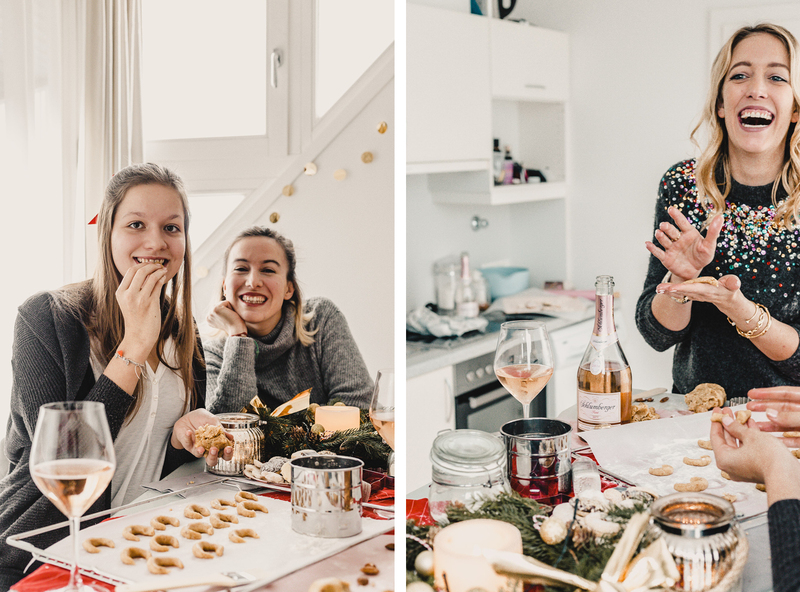 However, not everything is about Punsch and Christmas markets… what about the baking part?? 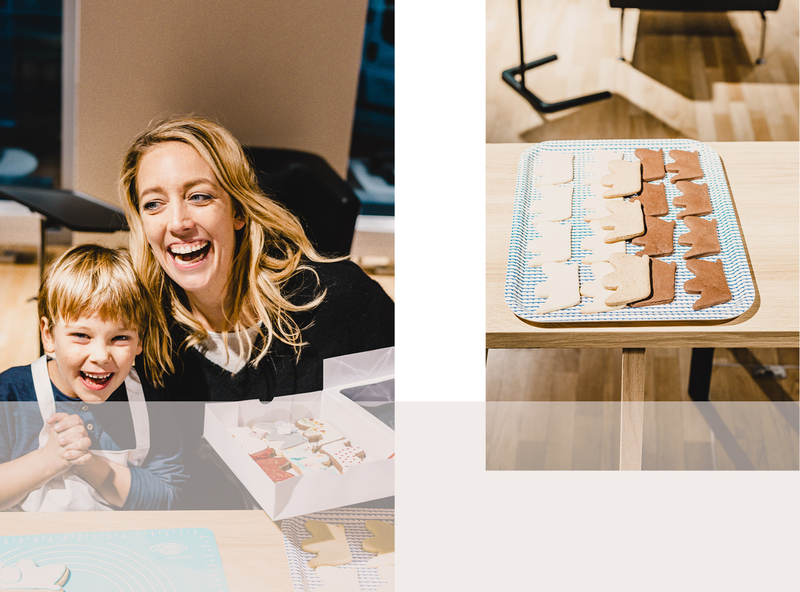 Baking cookies is also part of the spirit and thanks to Vitra, we were able to start the month baking and decorating cookies together with Emilian and some other kids & moms like Isabel from Salon Mama – Remember her? 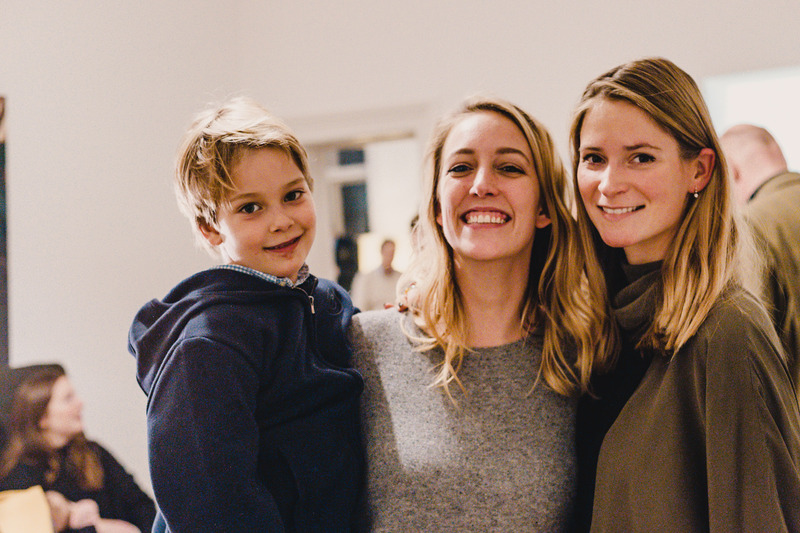 She is one of our AMA-Z-ING MOMpreneurs on the blog! 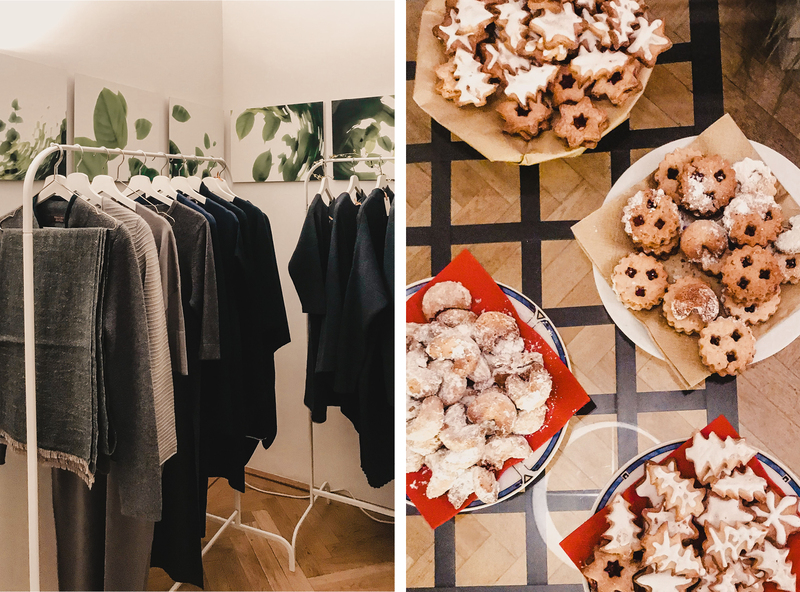 Meanwhile at the office… we had a very cozy and charming SHOP-UP event where four different designers got together to sell some of their best pieces. Besides the shopping, some bubbly glasses were offered to the attendees as well as some yummy cookies. It felt like a little Christmas get together (or pre-party!) at our office. A great way of ending a Tuesday! And the best way to end a Friday afternoon? 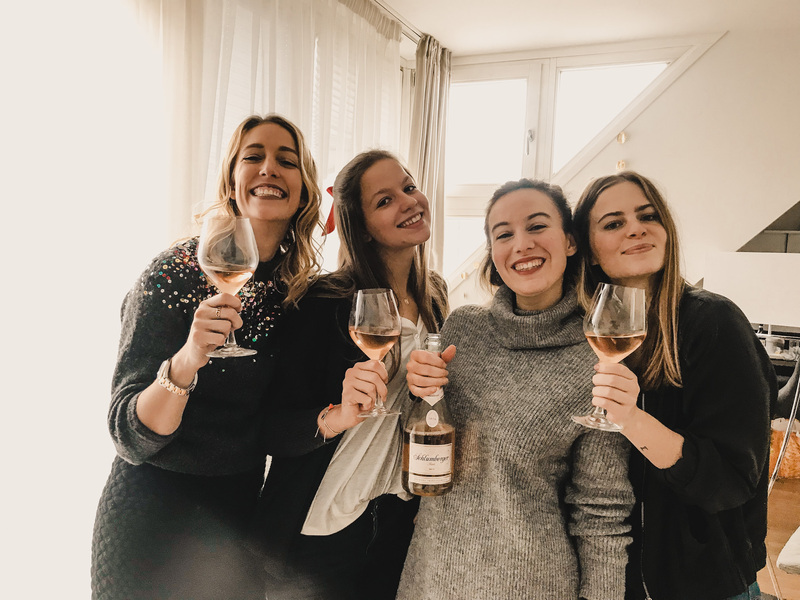 Baking and having some drinks of Schlumberger Rosé with the team – Simply great, cheers! It’s viral… we came across this wall art in Bristol, UK and we thought it was worth the share. It took us a while to stop looking at it when we found it. It was definitely a hypnotizing piece – We dare you to look at it for less than 10 seconds! Latin overdose… We are not 100% sure of how it happened, but we went crazy with the whole Latin food intake. 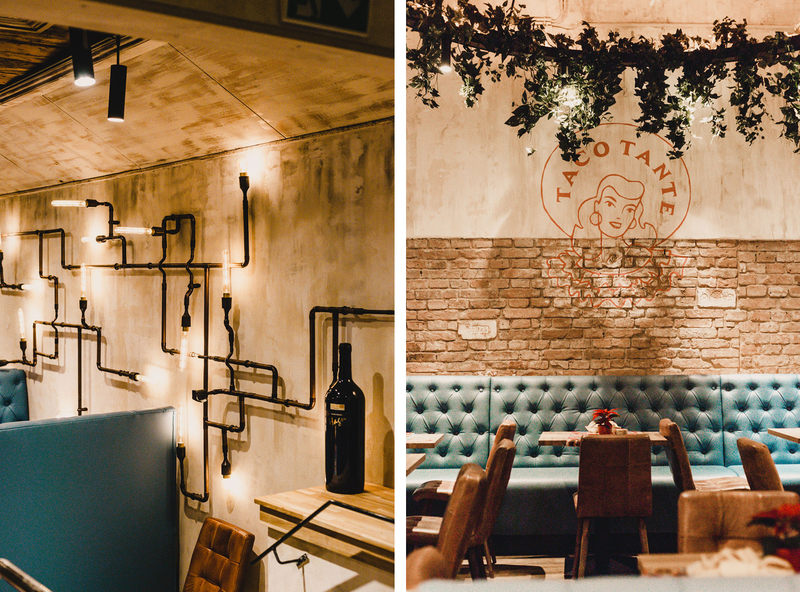 It all began with Taco Tante, a new Mexican restaurant in town where we were kindly invited. 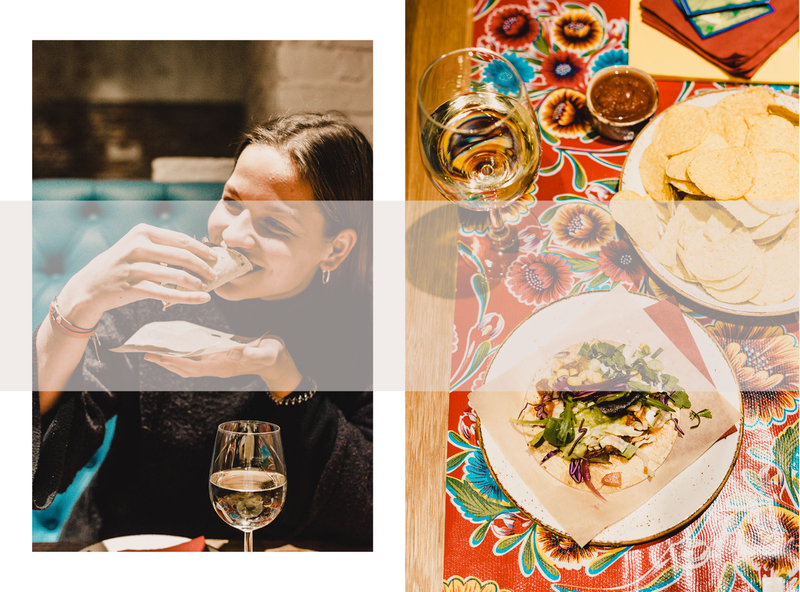 Naturally, other bloggers like Alina from The Ladies, Zoé Karapetyan or Isabel from Salon Mama, also made their way to the new spot in town where you can have some of the best tacos and churros in Vienna – Not even joking! Tati on the other side went to “Mi Barrio”, a new cultural space/restaurant pretty hidden in the 6th district where, according to her, they serve THE best nachos in town. 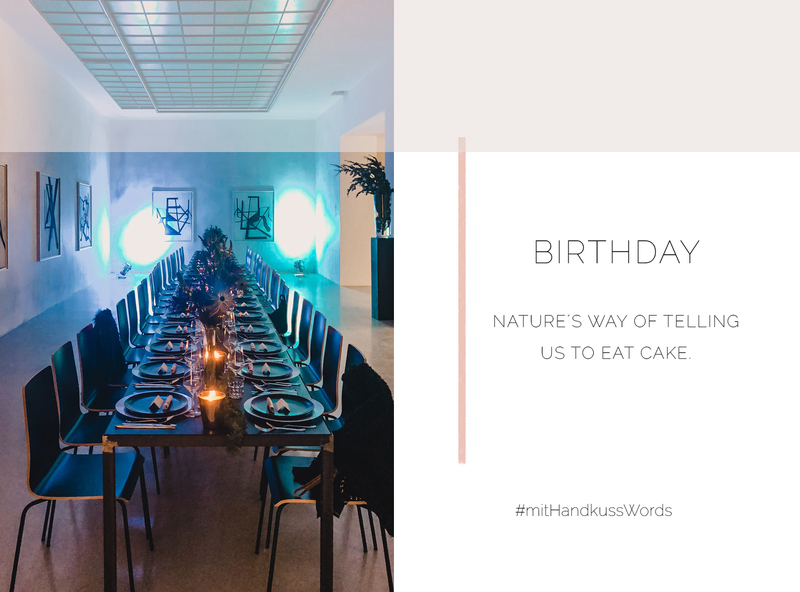 Besides serving good food, this place also offers many different events, such as a Latin Brunch, dancing session or other types of arts that happen on the second floor. Btw, the second floor is set up in a “cabaret style”, so you can enjoy a nice drink while checking out a show! 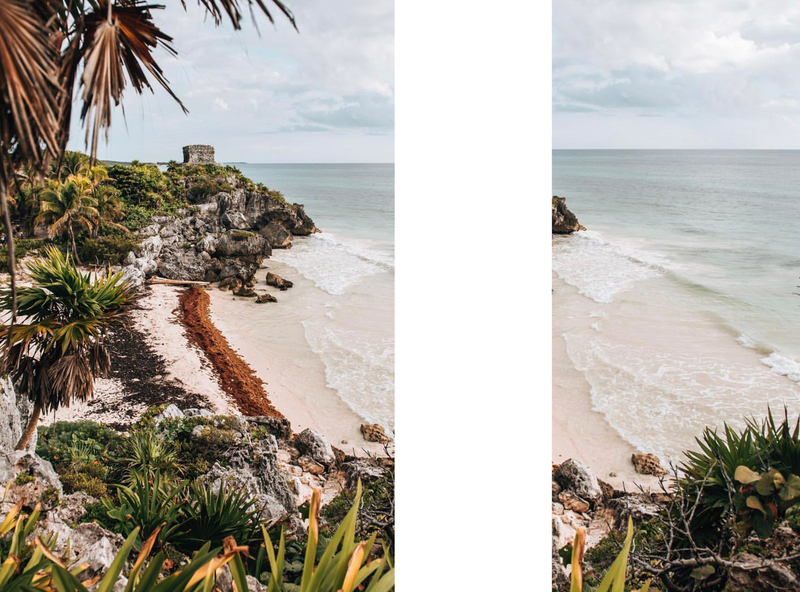 Oh, and Emma went to Pancho – simply because it’s her favorite and since she considers herself a taco specialist, she needed to compare them to the new tacos in town. Her final decision…drum roll please: She sticks to “Pancho” in the second district. If you are wondering why she went for Panchos, it will probably be due to the amount of coriander she found on the other tacos. So, if you are a coriander lover, Taco Tante tacos might be the ones for you. Kathi and Romeo are two fulltime travellers based in Vienna. Last but not least… der Nikolaus war da!! Weihnachten kommt näher, und so verbrachten auch wir einen Gutteil der Zeit in vorweihnachtlich froher Stimmung. Ich genoss den ersten zarten Schnee, Emilian wurde vom Nikolaus beschenkt, wir besuchten Weihnachtsmärkte, knabberten Süssigkeiten und tranken Punsch. Meine liebe Freundin Sophie feierte ihren 32. Geburtstag “in style” in der Galerie Lisa Kandlhofer – danke, Sophie. 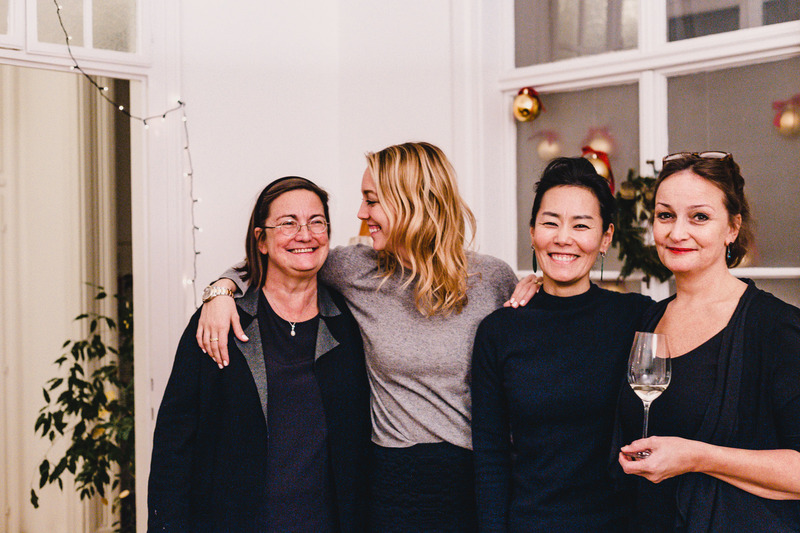 Meine Schwester Anna lud Familie und Freunde ein zu “Punsch, Kind und Kegel” – auch dies ein gelungenes Fest und auch Dir, Anna, ein feuchtfröhliches Dankeschön. Mit Emilian zog ich über die Weihnachtsmärkte … und entdeckte den “Adventmarkt in der Remise” – ein Paradies gerade auch für Kinder. Natürlich haben wir auch schon fleißig Keksegebacken. 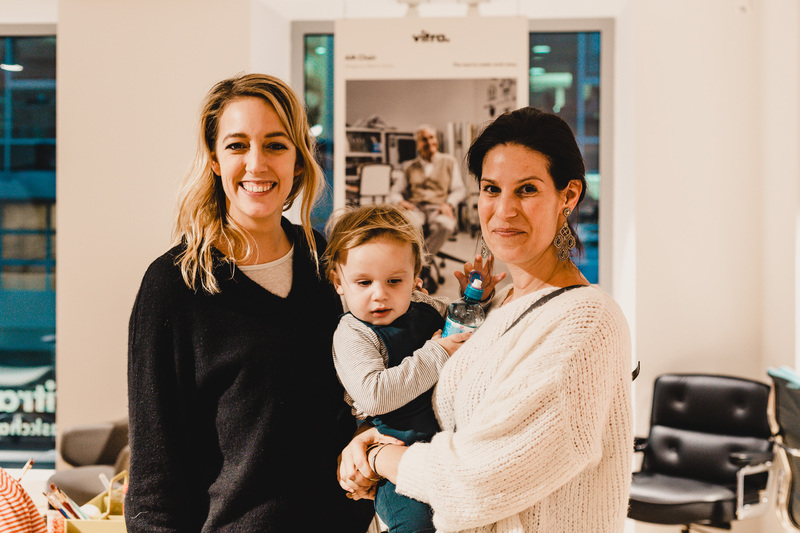 Eingeladen hatte Vitra, viele Kinder und Mütter kamen … und dabei war auch unsere Isabel vom “Salon Mama” – eine der MOMpreneurs auf unserem Blog. Ebenso hat das mit Handkuss-Team letzten Freitag mit einer guten Flaschen Schlumberger Rosé das Wochenende eingeläutet. 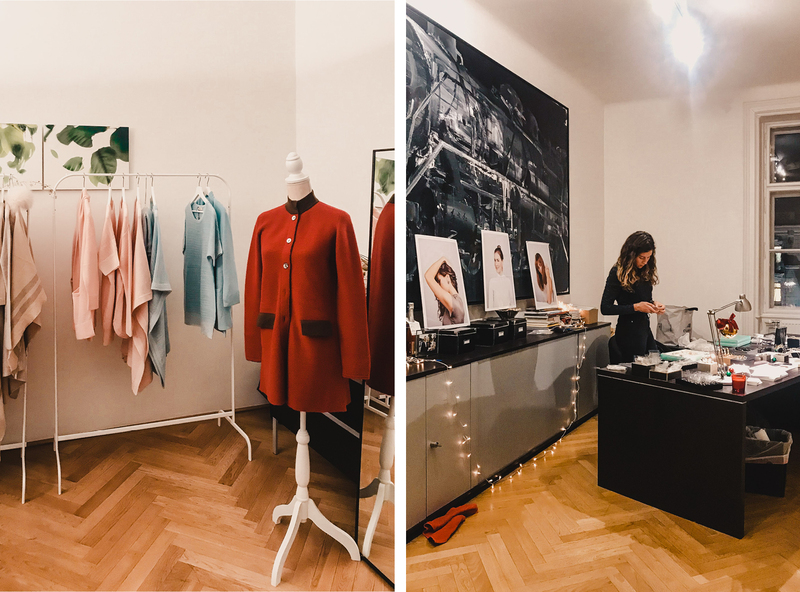 Und im Büro veranstalteten wir einen SHOP-UP Event mit vier großartigen Designern … und jeder Menge Jingles. Lustig und spannend war unser Ausflug in die Welt der lateinamerikanischen Küche. Wir besuchten “Taco Tante” – neuer Hotspot für Tacos und Churros in Wien. Wir entdeckten “Mi Barrio” im 6. 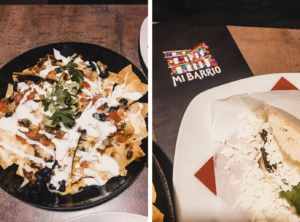 Bezirk … und bekamen nicht genug von ihren Nachos. Auch das “Pancho” stand auf unserer Besuchsliste – immer wieder gut. Gerade kommen Emilian und ich zurück vom Reiters Reserve Finest Family … und schon freue ich mich auf ein ganz besonderes Highlight kurz vor Jahresende. Ich fliege nach New York und werde dort meinen Geburtstag feiern. YAY!